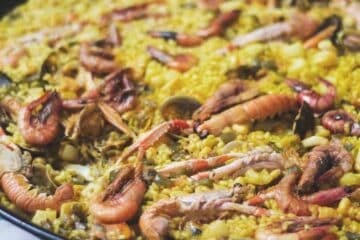 Where can you get the best paella in Barcelona? This is a really common question for visitors coming over to visit this beautiful city. Luckily for you, we’ve already covered those two questions! Spanish people have dinner starting from 9 p.m. and going until as late as midnight. This may be very late for you, but no worries, most restaurants open around 6-7 p.m. The price for a paella is usually shown per person. The minimum for a good paella is two people. Paella is originally from Valencia. Still, you can find fantastic paellas in Barcelona. That’s why you’re reading this, after all! Let us prove this to you with our recommended places to enjoy this tasty dish in the Catalan capital. Interested in the cooking class? Jump straight to it. Alright, let the show begin! 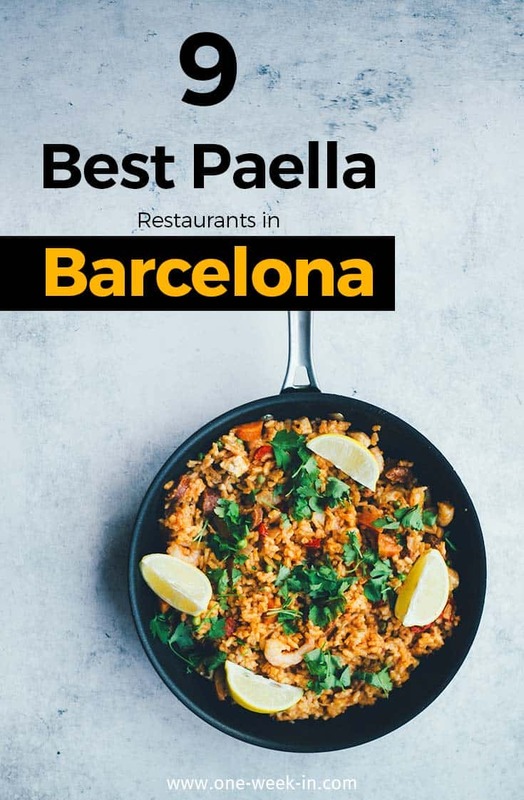 Here is the list with restaurants for the best paella in Barcelona. At the end of the article, we’ve put all the places on a map. Again, we would recommend making a reservation, just to avoid waiting and to make sure you get to enjoy the paella experience. 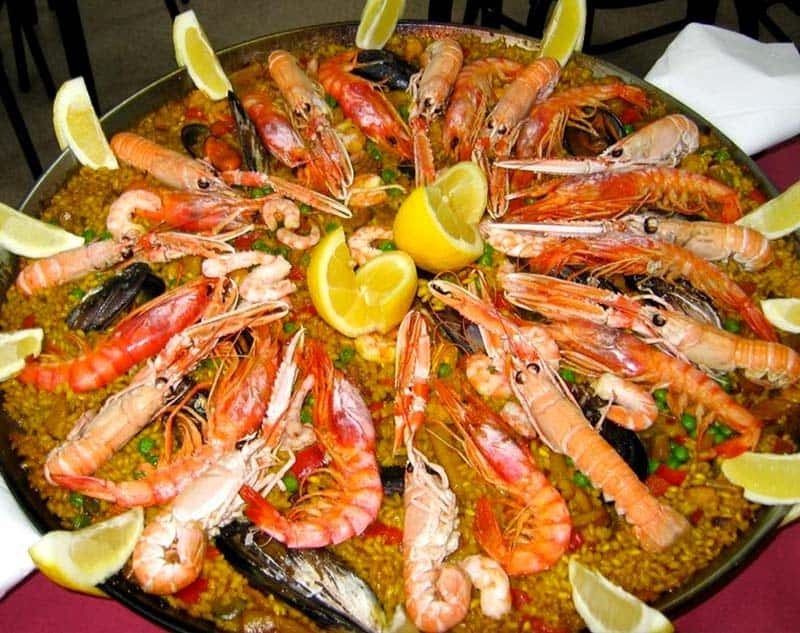 Our absolute #1 place for the best and most yummy paella is La Barca del Salamanca. This big restaurant is located in the Olympic harbour. It’s also near many other restaurants, but don’t walk in any of the other places here. We love to order a great, homemade paella here along with sangria to drink. You can’t go wrong with this combination! Fun fact: Many football players and celebrities choose this restaurant, too. We’ve met basketball players as well as players from FC Barcelona here. This is our other #1 recommendation. Okay, that might be confusing. 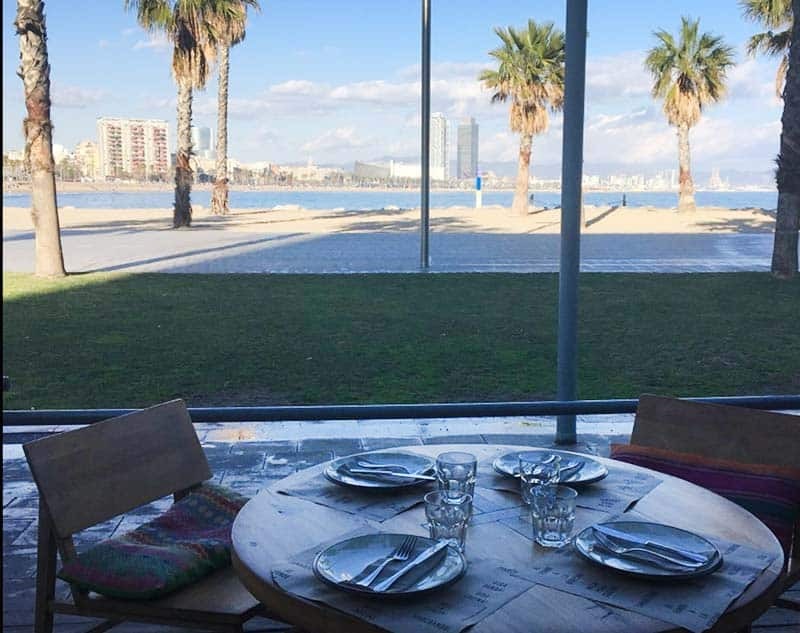 The Xiringuito Escribà is our top recommendation for eating during the day, as it’s right next to the beach. It has a seafront view! Restaurante La Barca del Salamanca, on the other hand, is our go-to place for dinner late at night and when it’s cold outside. On their website, they share the menu in 3 different languages if you want to have a sneak peek on the official website. This place is also the only great place that we know of that offers paella for 1 person. This, however, depends on their availability. Right at the steps of the famous 5 Star Hotel W Hotel, you’ll find the Pez Vela Chiringuito. This new concept restaurants invites you and your friends to an authentic Spanish dinner with fantastic views. The views are similar to our next restaurant for the best paella in Barcelona. The vegetarian paella starts from €16, while the meat and fish paellas start from €19. Pez Vela is the best place for the glamorous traveler. Directly on the beachfront, the W Hotel right next door is the perfect place for a night out. The W Hotel has its own nightclub. 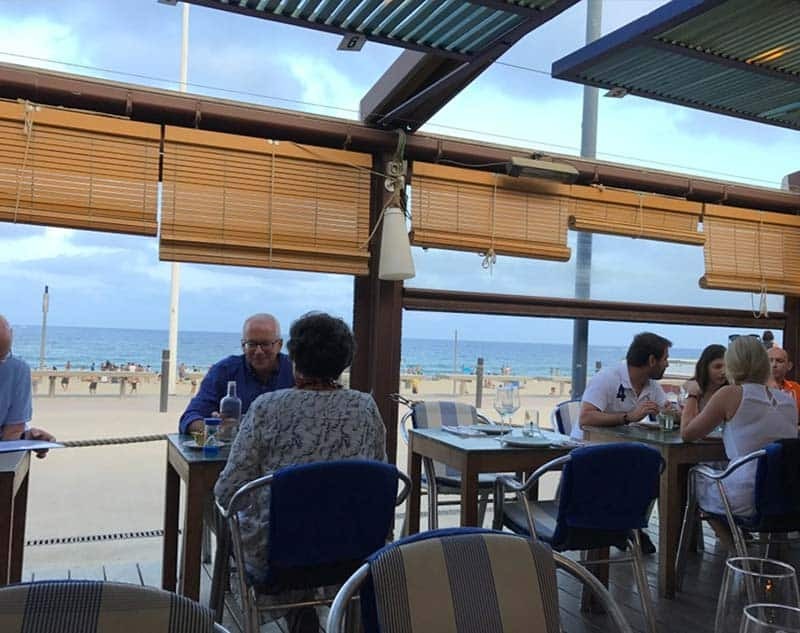 Located right on the beachfront with a lovely terrace, La Barraca is a popular choice for locals, as well as travelers who run into the place by accident. 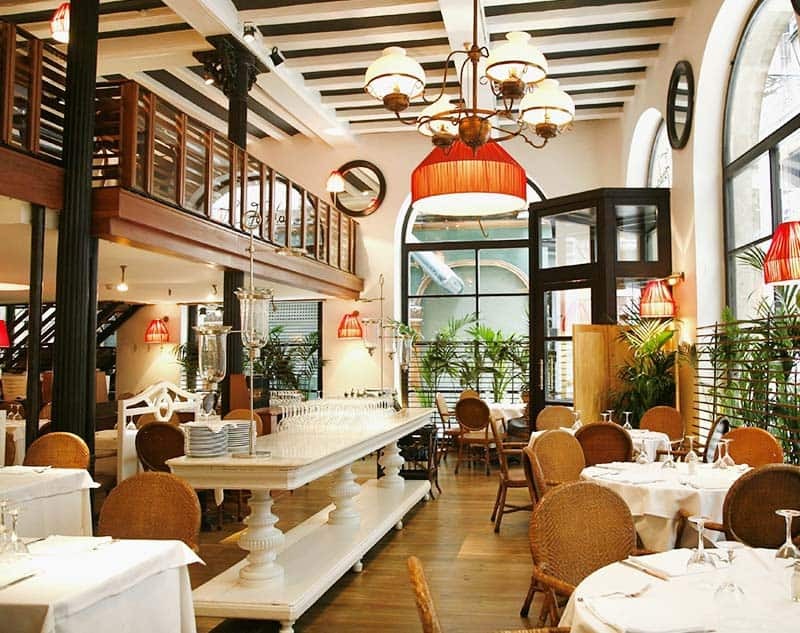 You will also find this paella restaurant mentioned in several big guide books. The location speaks for itself. 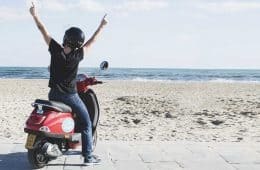 Sit on the big terrace right on the beach promenade with a view of Sant Sebastià beach in La Barceloneta. The quality of location goes hand in hand with the quality of their paella and other fish dishes they serve at La Barraca. We can confirm that it’s well worth the time and money. 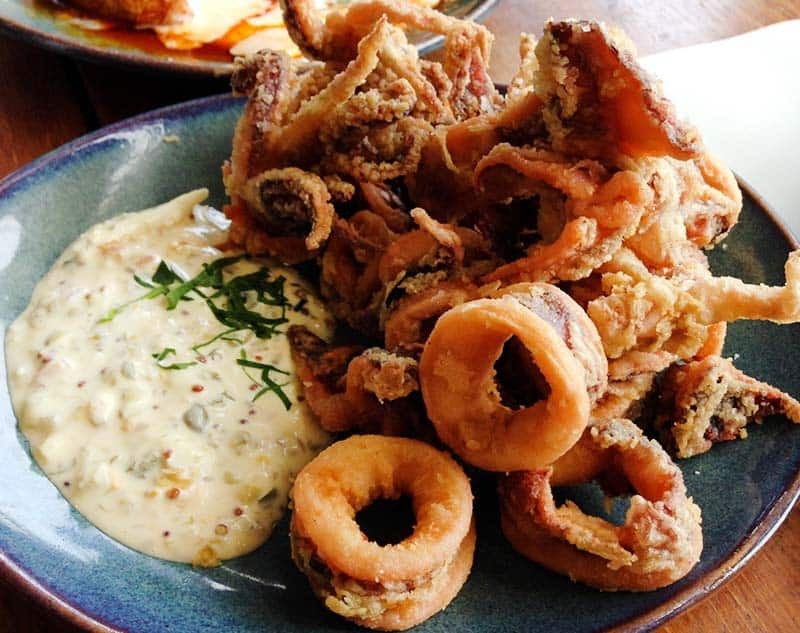 La Barraca is also known for their fresh ingredients and locally-sourced produce. The paella starts here from €19.90. It’s a great option for everyone looking for a romantic spot. After your Spanish dinner, the landscape invites you to take a stroll along the beach. Restaurant 7 Portes is a fancier option. In fact, it’s the fanciest one of them all. It’s a classy place with piano music in the background – that really says it all. Personally, we think this is a great restaurant for couples and for first dates, if it suits your style. 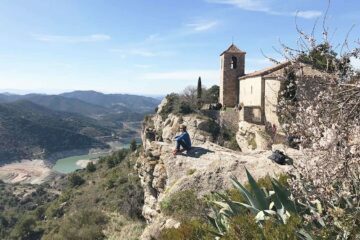 It’s located between Barcelona and El Born, not far away from the lower end of the Gothic Quarter. 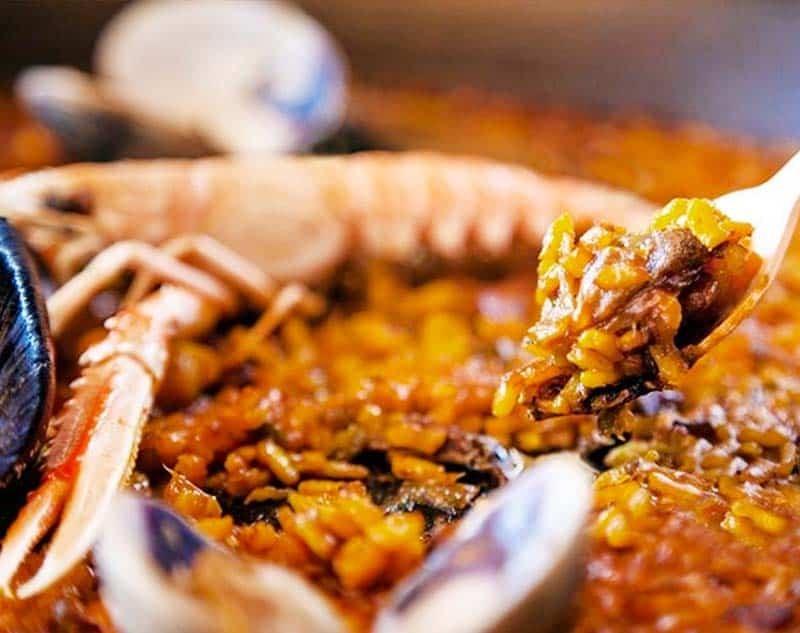 Often referred to as “the place to eat paella in Barcelona,” Can Majó is a can’t-miss. It’s a really popular place, so if you’re planning on coming here for dinner (especially on the weekends), give them a call beforehand and make a reservation. You can avoid a long wait, which can be as much as more than 1 hour without a reservation. 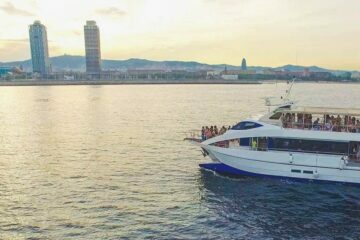 There are definitely better ways to spend your time in Barcelona. Paella starts here from €13.90, so it’s great if you’re on a budget. And it’s another reason it’s so popular. The waiters here are really friendly and love to give suggestions to both locals and tourists alike. Not all of them speak great English, but once they realize you want to order in English, they’ll send over the English-speaking waiters. This must be the best cheap paella in Barcelona, the Arume Restaurante. You can enjoy a tasty paella for €14.50, only 60 cents more than Can Majó. Seriously, if you’re traveling Barcelona on a budget, this is the place to go! After your delicious paella, you can remain seated and get a cocktail. They also have great deals on drinks here. One of the most curious things about Arume is something very unusual. One of the tables is placed over a former well, and there is an illuminated skeleton with glasses and a book in its hands. It’s not really spooky, more funny. But it’s definitely unique! At this point it’s worth it to mention: “Can” is Catalan and combined with a name, it simply means “house”. So, this is “House Solé”. 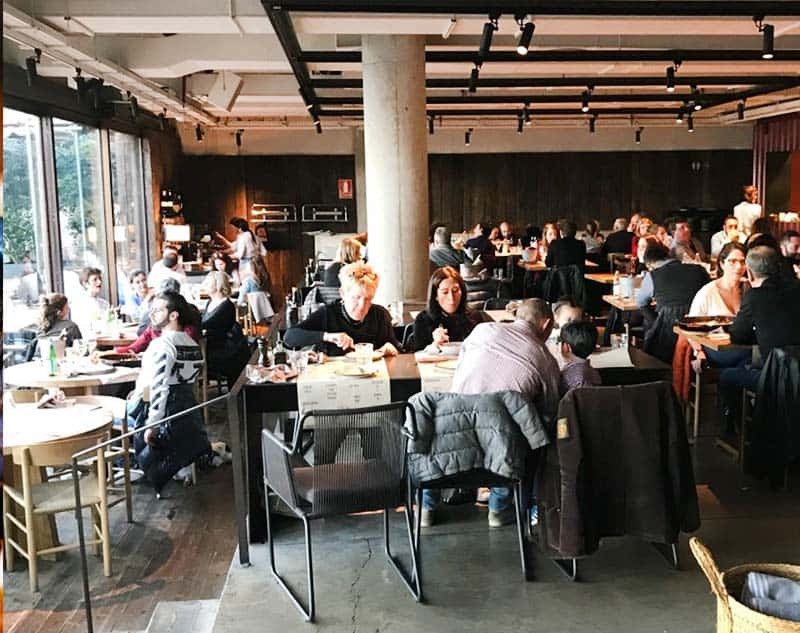 Can Solé is located in Barceloneta, like lots of the other restaurants on this list. You see, Barcelona’s beach area is the most popular place to find a paella dinner. So, if you’re worried about a language barrier, Can Solé is the way to go! Sit down and order a paella starting from €20. Last but not least, La Fonda. 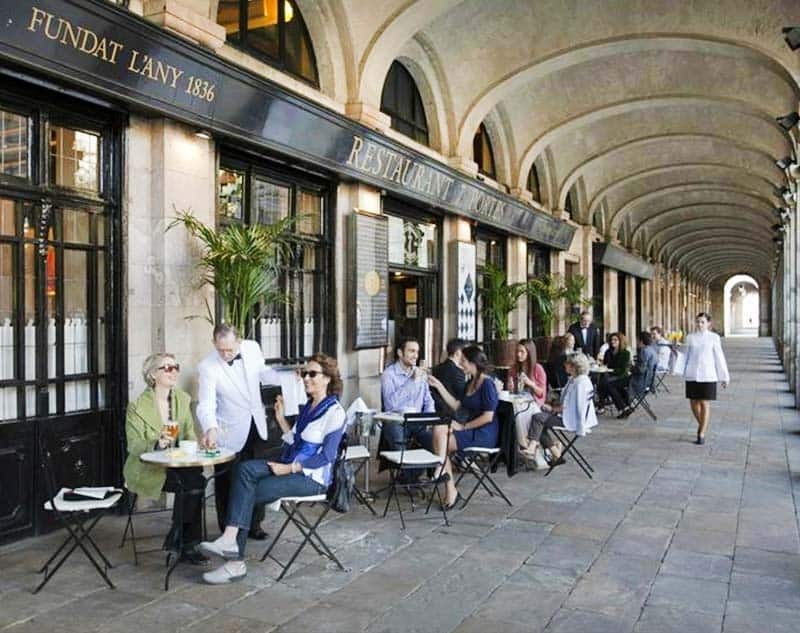 This is our second choice for dining out the traditional dish in the historic city center, near the Gothic Quarter. We went here once and our expectations were not high, to be honest. 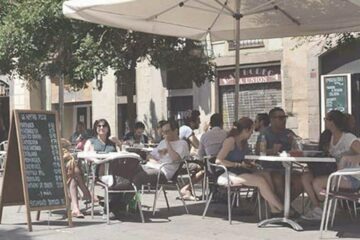 It’s located right on the main street in El Born, and it might look quite touristy. Nevertheless, we came here with friends and it was a great experience with nice waiters and great meals from paella to fideuá. How much is a paella? We mentioned before in our tips about eating paella that the price shown is usually the price person. And the minimum is two people for one paella. You can also order a paella for three, four, or even more people. A paella usually costs between €15 and €25 per person. 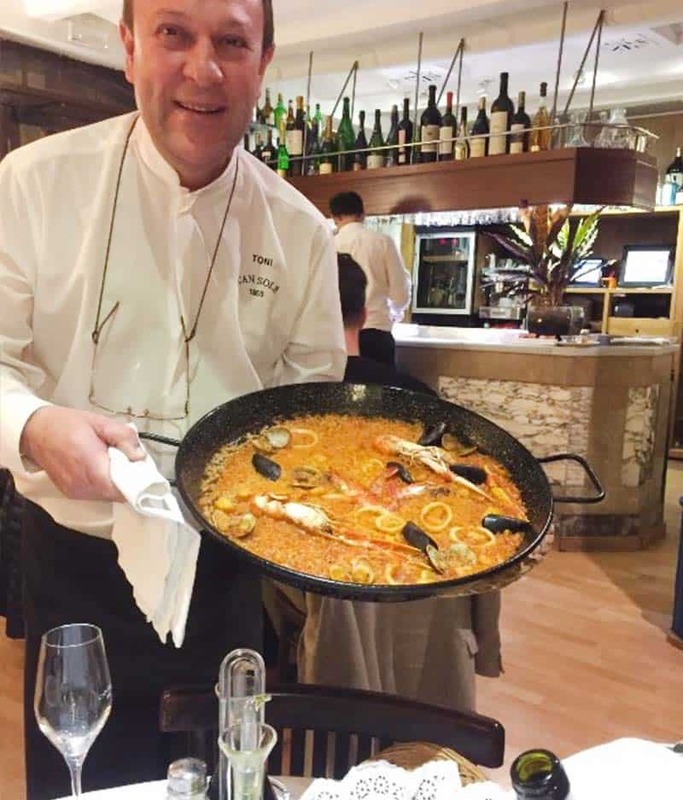 If you are looking for the best cheap paella in Barcelona, you might want to consider Restaurante Arume Barcelona. You can get one here for under €15. You can find places that sell paella for around €10. Our best advice: Stay away from these places. 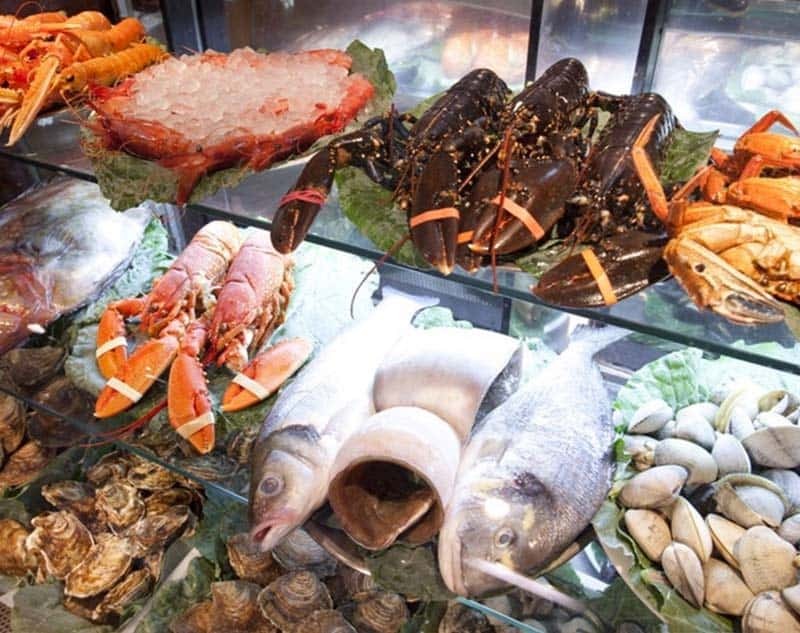 At these places, the paella is most likely previously frozen. It is NOT tasty at all, and you could spend your €10 in a better way. How do you spot a bad paella restaurant? When a restaurant offers paellas for one person, this is not a good sign. This is really uncommon, and most likely only offered for tourists. When the menu comes in 17 different languages and especially includes photos, it’s a red flag. We would skip a place like this. That being said, it’s only a clue, not a fixed rule. All the restaurants on this list have at least an English menu in addition to the two main menus in Catalan and Spanish. Another important thing to know: Make sure you get the wine you ordered! We were once sitting in a restaurant where the British tourists next to us kept complaining. They had ordered a wine that cost €10€, but got given one that cost €30. The waiter insisted they had to pay since they drank it. Not fair. But then again, the places for the best paella in Barcelona we recommend here, are great ones. We have never had an issue at these places, and we’ve sent quite a lot of our friends there. All came back with a happy smile and a full stomach. 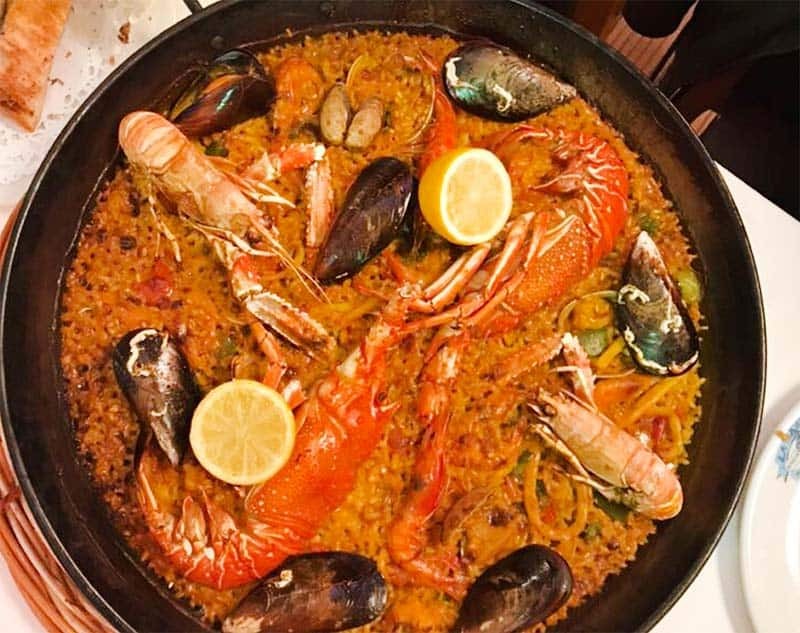 Where do locals eat paella in Barcelona? This is the second question after “Where to eat the best paella in Barcelona” is “Where do LOCALS eat paella in Barcelona?”. Well, we’ll share this secret with you, too! Okay, anyway, that’s not to say locals in Barcelona don’t eat paella in restaurants. Locals in Barcelona eat a fair share of paella! Where? We already covered the restaurant before: The Restaurante La Barca del Salamanca in Port Olimpic. This is the #1 restaurant we can recommend you. Now that you know we love to enjoy a homemade paella, we have something for you. Since we want to give you ALL the best options out there, we did a bit of research. We found the best cooking class in Barcelona to eat homemade paella. In fact, you will learn how to cook paella on your own, as well as tapas dishes. You’ll cook while enjoying a homemade sangria. Sounds good, right? The guys from BCN Kitchen offer a paella cooking class and market visit right in the heart of the city. You visit the famous La Boqueria market to learn about the local food culture, get the freshest ingredients, and then head back to the cooking school to put on your cooking apron. 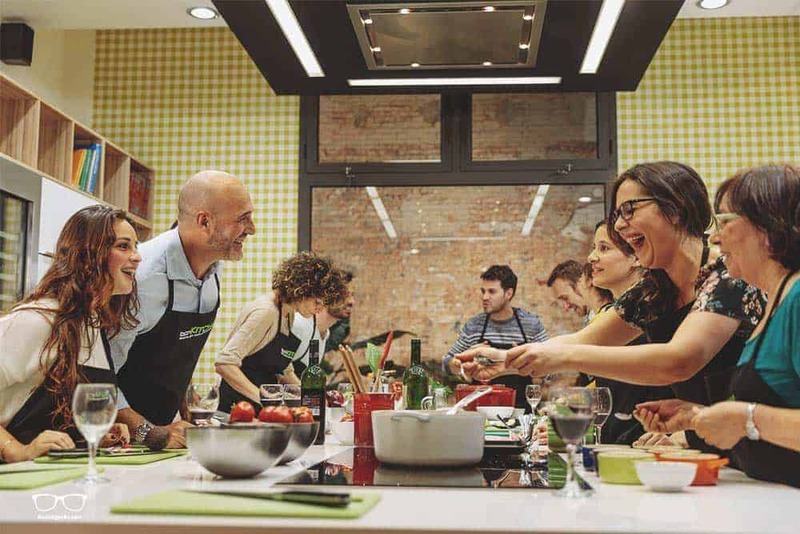 After the class, they share their paella recipe, so you can go ahead and cook up your own dish of paella whenever you want. We have found this 5% for these Paella Cooking Classes. Okay, okay, let’s make it simple. Here are all places to eat put on a map. These guides are best for the ones looking for a printed version. Once you come to Barna, you will also receive a paper map of the city. I recommend taking either the printed guide or the printed paper map. It’s best to mark your points of interests in the map. By now you got the perfect ingredients for a paella dinner out. It’s delicious and I seriously consider it a must-try. Do you have any questions, doubts? Please bother me, please leave a comment. 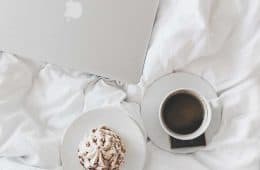 I want to make this blog and article as useful as possible. If I missed anything, please don’t be shy and say hi in form of a message below. You can find all my article for One Week In Barcelona here. 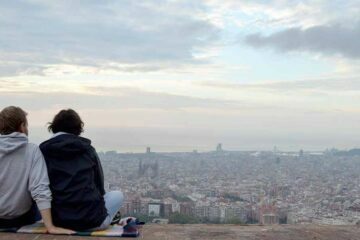 59 FREE Things to do in Barcelona including live concerts, museums and sunsets.